Oriolus phoeniceus Linnaeus, 1766, Charleston, South Carolina. Presently, 20 geographically discrete forms are recognized. English: Cuban red-winged blackbird; French: Carouges a épaulettes; German: Rotschulterstarling; Spanish: Tordo Alirrojo, Tordo Capitán, Mayito de la Diénaga, Sargento. and heavily streaked below with some red in the wing. Males in their second year resemble older males, but many of their feathers are edged with brown. Females are streaked with dark brown. Juveniles resemble females. Breeds from eastern Alaska and Great Bear Lake, east to James Bay, southern Quebec, and southwestern Newfoundland, south to Costa Rica; local in Central America, and absent as a breeder from western Mexico and central and southern Baja California. Winters from southern Canada south to Costa Rica, including western Mexico and Baja California. Marshes and rank, moist thickets. Territorial during the breeding season. Males defend a territory with songs and chasing. In winter, found in flocks, often enormous ones that contain several different species of blackbirds as well as European starlings (Sturnus vulgaris). Forage low in vegetation or on the ground. Males are commonly simultaneously paired to several females. 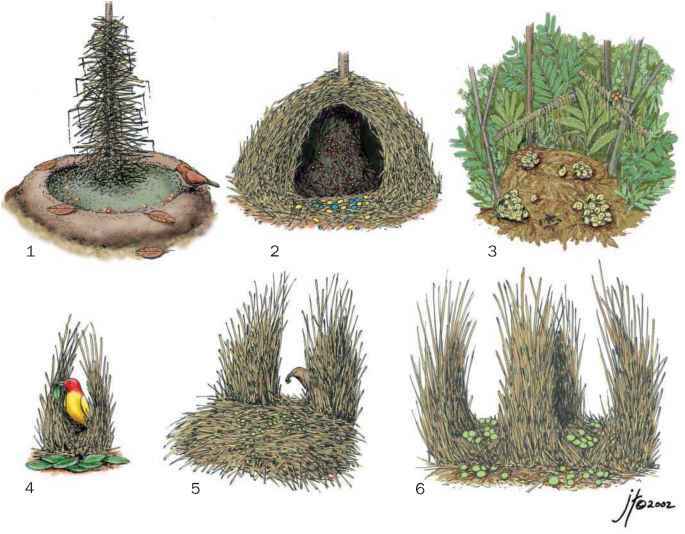 Females build the nest, which is a bulky cup of woven vegetation, commonly woven to several stalks of emergent vegetation in marshes. Clutch size is smaller in the south than in the north and ranges in size from 4 to 5 eggs, which are laid from May to mid-June. Incubation 11-13 days; fledging at about 11-12 days. Usually single brooded, but replacement clutches may be produced. Not threatened. 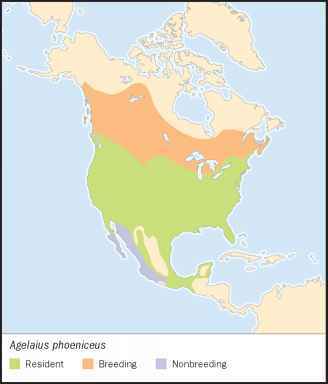 One of the most abundant North American birds.